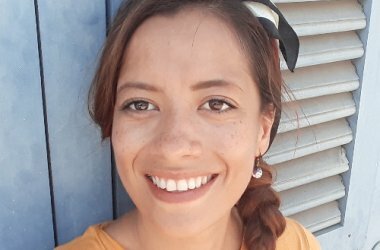 Wittenborg alumnus Andrea Echeveste, from Mexico, graduated with an IBA in Tourism Management in 2017. After obtaining her degree, she now works for one of the fastest growing online travel providers in the Netherlands, Travelbird, whose headquarters are based in Amsterdam. You were an Orange Tulip Scholarship recipient, right? Why were you interested in studying in the Netherlands? "Yes. I wanted to study abroad and my boyfriend is Dutch. We met in Mexico city." What attracted you to Wittenborg? "The fact that I was able to do a second bachelor's degree in tourism in 1 year. Also the costs which I was able to cover." How would you describe your experience as a student at Wittenborg? "Actually, it was tough for me because my English was not as good as it is now and I failed my first 3 exams. Also the adaptation to a new place was a long process. So I did not really enjoy it, but saw it as a challenge." You also did your internship at Travelbird. How did you find that job? "I found it on indeed.nl - internships in Amsterdam are very easy to find." And they offered you a position after graduating? "No, I did not have a permit to work so I finished my internship, graduated, got a residence permit and then looked for a job for 9 months. I sent 120 applications and nothing happened. Suddenly an ex-colleague from Travelbird sent me a vacancy, I did two interviews and got the job." "Sales support. I started in the Italy team - I understand Italian but do not speak it. I am responsible for data in the website, managing overbookings and complaints from customers. I am the mid-point between customer service, account managers and the partner. Now I am responsible also for South Europe France, Italy, Portugal and Spain." What advice do you have for other international job-seekers? "You've got to be persevering because competition is super-high. It is not easy, but also not impossible. My best advice is to learn Dutch and never give up." Do you also live in Amsterdam? "I live in Rotterdam, but work in Amsterdam. It is a very nice city to work with many international people." What do you like about life in Holland? Do you see yourself staying? "I do not know how long I will stay. I first want some professional experience. Dutch society has taught me how to be more focused on my goals and make them happen." What do you like about working in an international company like Travelbird? "The opportunity to know more about other people and cultures, and learning how to deal with cultural differences." What are your goals for the foreseeable future? "To become a Dutch citizen and continue learning from international companies, and gain professional experience."